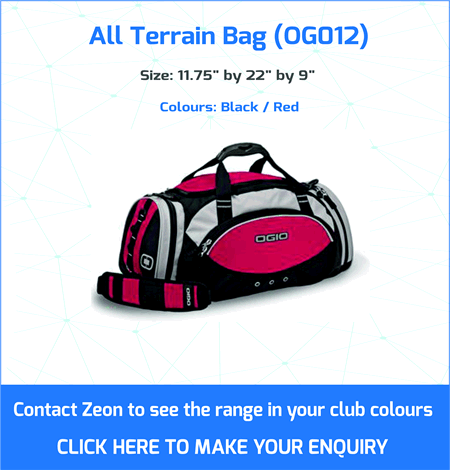 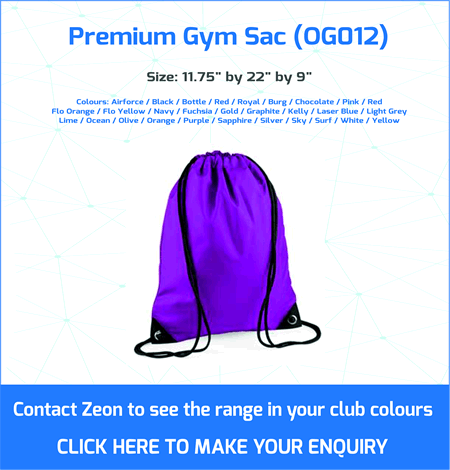 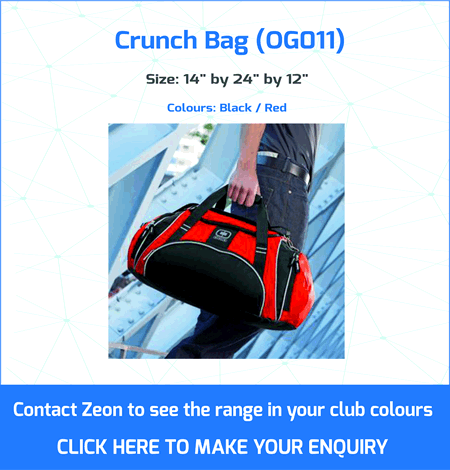 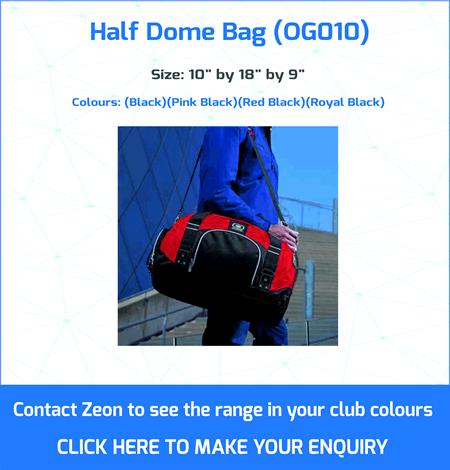 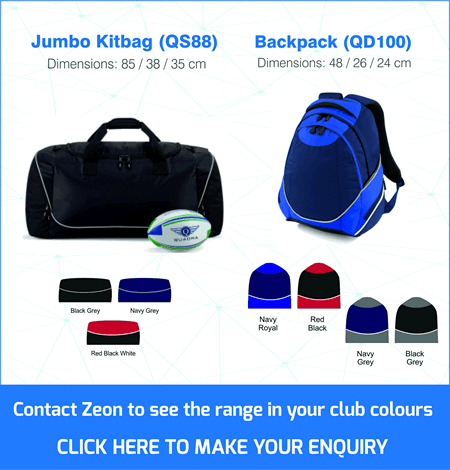 ZEON Bags are perfect for all sports. 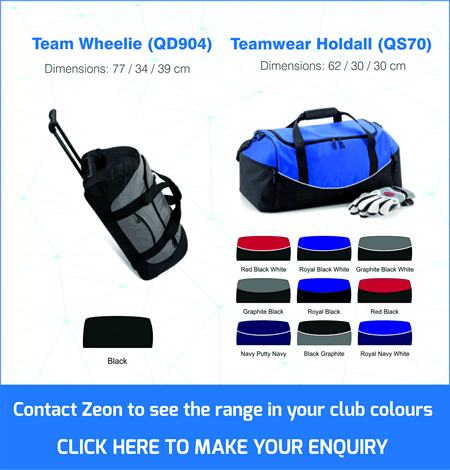 These items can be customised with your club badge. 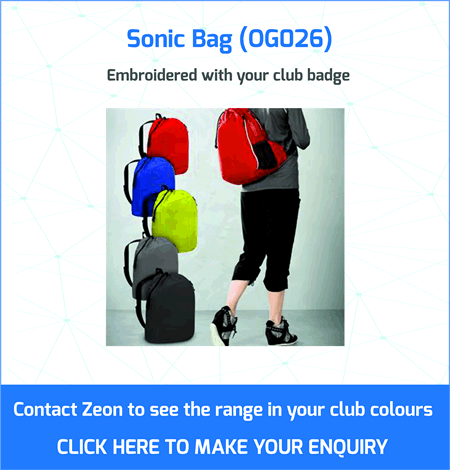 Prices include your embroidered club badge or sublimate print front section. 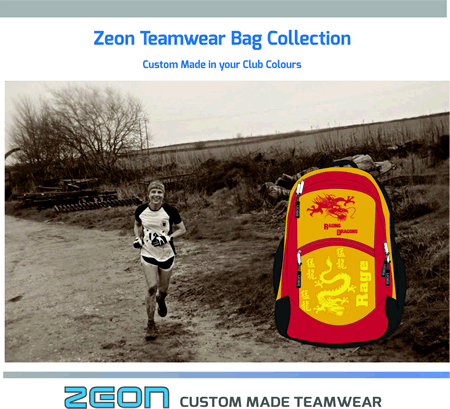 Compression fit to great designs.